I’m very pleased to announce that my first Windows Azure book is now available, The Windows Azure Handbook, Volume 1: Planning & Strategy. In this post I’ll give you a preview of the book. This is the first in a four-volume series that covers 1-Planning, 2-Architecture, 3-Development, and 4-Management. For information about the book series see my previous post or visit the book web site at http://azurehandbook.com/. The book can be purchased through Amazon.com and other channels. Part 1, Understanding Windows Azure, acquaints you with the platform and what it can do. • Chapter 1 explains cloud computing. • Chapter 2 provides an overview of the Windows Azure platform. • Chapter 3 describes the billing model and rates. Part 2, Planning for Windows Azure, explains how to evaluate and plan for Windows Azure. • Chapter 4 describes a responsible process for cloud computing evaluation and adoption. • Chapter 5 describes how to lead discussions on envisioning risk vs. reward. • Chapter 6 is about identifying cloud opportunities for your organization. 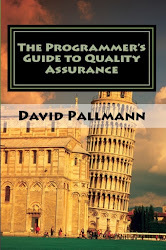 • Chapter 7 explains how to profile applications and determine their suitability for Windows Azure. • Chapter 8 describes how to approach migrations and estimate their cost. • Chapter 9 covers how to compute Total Cost of Ownership (TCO) and Return on Investment (ROI). • Chapter 10 is about strategies for adopting Windows Azure. This book is about cloud computing using Microsoft’s Windows Azure platform. Accordingly, I have a two-fold mission in this introduction: to convince you cloud computing is worth exploring, and to convince you further that Windows Azure is worth exploring as your cloud computing platform. Following that I’ll explain the scope, intended audience, and organization of the book. • How is cloud computing being used? • What different kinds of cloud computing are there? • What does cloud computing mean for IT? • Where does Windows Azure fit in the cloud computing landscape? • What can Windows Azure do? • What are the technical underpinnings of Windows Azure? • What are the business benefits of Windows Azure? • What does Windows Azure cost? • How is Windows Azure managed? • How is a Windows Azure billing account set up and viewed? • Is Windows Azure available in my country, currency, and language? • What is the Windows Azure pricing model? • What are the metering rules for each service? • What is meant by “Hidden Costs in the Cloud”? • What is the ideal rhythm for evaluating and adopting cloud computing? • What is the value and composition of a cloud computing assessment? • What should an organization’s maturity goals be for cloud computing? • How do you find the cloud computing synergies for your organization? • How do you air and address risks and concerns about cloud computing? • How will cloud computing affect your IT culture? • Which scenarios are a good fit for Windows Azure? • Which scenarios are a poor fit for Windows Azure? • How do you profile an application? • How can an application be scored for suitability? • How should suitability scores be used? • How is a migration candidate analyzed? • How is a migration approach determined? • How can operational costs be optimized in a migration? • How is the extent of development work estimated? • How is TCO calculated for a Windows Azure solution? • How is savings determined? • How is ROI calculated? • Are there different levels of adoption for Windows Azure? • How can Windows Azure be strategically used by IT? • How can Windows Azure affect your culture? • How can Windows Azure further your business strategy? Well, there you have it—The Windows Azure Handbook, Volume 1: Strategy & Planning. 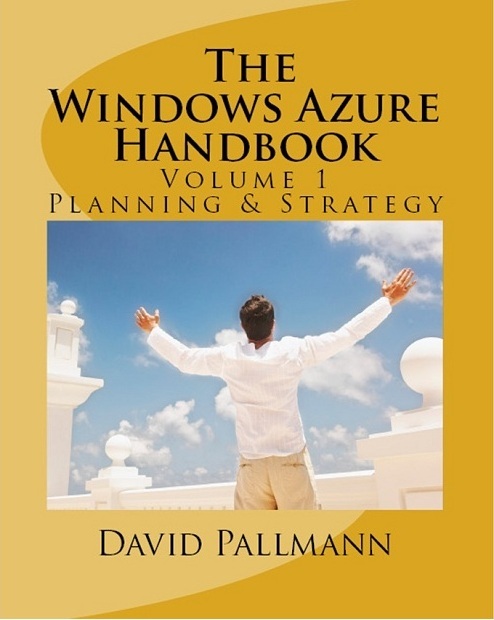 I believe this is the only book for Windows Azure that covers business, planning, and strategy. I hope it is useful to organizations of all sizes in evaluating and adopting Windows Azure responsibly. nice work. in cart & checked out. looking forward to reading this and hopefully the rest of the series. David -- just ordered your book. I am the CTO for a startup in Santa Monica and we are planning to launch our app on Azure. Would love meet with you and see your thoughts and how might be able to help us. I already recommended it to several of my managers/directors to read it.